What is a global reset? When will the currency reset happen? 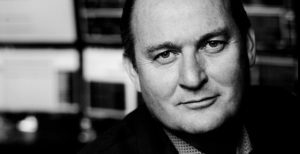 The big Reset is coming, and it was a pleasure speaking to Mr. Middelkoop as I interviewed him for his newest book The Big Reset. I hope you enjoy watching it as much as I enjoyed conducting it. This full article have been updated recently with new pictures and citations. Willem Middelkoop goes into great detail about our current International Monetary System. Please read full article. Gold is, in my opinion, a great safe haven. Check out the customer reviews for Willem’s book on Amazon. Willem Middelkoop founder of the Commodity Discovery Fund interviewed about his new book, “The Big Reset” with Nick Giammarino. Willem has a new blog (the big Reset Blog) which I suggest that you follow. He is very active on Twitter as well. My special guest today is Mr. Willem Middelkoop. He is the founder of the Commodity Discovery Fund and is a best selling writer. Mr. Willem Middelkoop opened a precious metals web shop: AmserdamGold.com in 2008 and within just three years the web shop was the market leader in bullion sales in Holland, reaching yearly sales of over 100 million Euros. He later sold Amsterdam Gold to a publicly listed company in 2011. Willem is best known in the Netherlands for his work as a commentator for RTL Z a business channel between 2001 and 2008. He has also appeared on CNBC. In 2007 when most people in the United States were saying to get into the stock market, Mr. Middelkoop actually predicted the onset of the credit crisis in his book, “Als de Dollar valt” which is translated, “If the Dollar falls”, that was back in 2007. His book warned of a possible crash of the global financial system, which, by the end of 2008, was virtually a fact. The book is currently in it’s 17th printing, and over 50,000 copies have been sold. Some of his other books (Dutch only) were De permanente oliecrisis (The Permanent Oil Crisis), Overleef de kredietcrisis (Surviving the Credit Crisis) Goud en het geheim van geld (Gold and the Secret of Money) and finally, in 2014, The Big Reset. In total he sold well more than 100,000 copies of his books. His most recent book, The Big Reset was released January 15, 2014 here in the United States. The Big Reset is the first of his books to be in English. It incorporates some important information from some of the earlier books I mentioned. My website: https://globalcurrencyreset.net was started exactly 10 days after his book was released and after reading his book I felt it was important to share the information with as many people as possible so at this time, it is my great pleasure to introduce Mr. Willem Middelkoop from Amsterdam thanks for joining us Willem. WILLEM: That’s a great introduction, thanks Nick. NICK: My pleasure. To start off with, go ahead and explain “The Big Reset” as you talk about in your book. WILLEM: Yeah, as you said in the introduction I’ve been writing books about the financial system since 2006-2007. I’ve been researching the financial system since 1996-1997, and I always had this idea that at one point we could have a major crisis because of the increasing debts worldwide we could reach a point where the whole house of cards would come tumbling down. When this occurred in 2007 I immediately started thinking about next phases and how we could solve this crisis. It took me some time to understand how central bankers do react when a crisis like this occurs. I think you have to understand that our financial system is planned. This is not a God-given system, it’s man-made, and it’s made by bankers in a way that the bankers can make the most money by selling debt to the public, selling debt to the governments, and the system can, and has been reset a few times over the years. It has been reset after the first World War after the second World War, it had been reset in 1971. I think the next reset has to occur around 2020. It can occur as a carefully planned event or could be the result of crisis, and if we look at the scenarios, I think authorities, central bankers, always like to plan these kinds of resets in advance. We’ve seen this in 1944 when the Bretton Woods Agreement which was carefully planned two years in advance and I expect that the U.S. and the IMF they both would prefer to stay in the drivers seat and I expect them to propose a transformation to a next phases of the worldwide financial center. There are two major problems one has to be restructuring of debt, especially sovereign debt at a certain level. I think we need to find a new anchor for the financial system because the Dollar, has to be replaced by something else. We’ve seen enough commands by Russia and China that there has to be a new anchor for the financial system. NICK: Excellent and I completely agree with you and you were speaking about the IMF and we call know Christine LaGarde recently had that long speech (https://www.youtube.com/watch?v=CVsGzIYmquc) where she was doing the interview and she was talking about the reset I know you had some comments about that. What do you think about her actually talking about the reset so openly? WILLEM: It’s remarkable that she was in Davos and she was giving the speech and if you study the video carefully, they’re on both your and my websites, my blog is http://thebigresetblog.com and if you carefully watch her speech, you see that she is looking at a little note beside her on the table then she starts to talk about the reset. She mentions the word reset seven or eight times in 70 seconds. My idea is it was well planned. 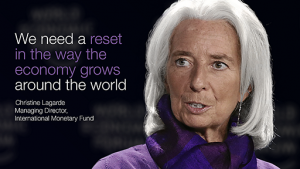 She really wanted to use the word reset to introduce it because if you do a search on the word reset (financial system) there are very few mentions before 2013 because nobody was talking about the reset. So suddenly we hear Christine Lagarde talking about the reset and I think it’s an indication that the IMF is working on some kind of new phase for the financial system, and it’s my idea, that’s the point I make in my book. The IMF will try to introduce the Special Drawing Rights (SDR) which were created in the 1960’s when there was a Dollar crisis. Before the years of the London Gold Pool before the years that France was exchanging Dollars for physical gold and during those years, at the end of the 60’s the IMF constructed the SDR’s so they could use them when there would be a major Dollar crisis. So the SDR’s are ready but I think the IMF will need a few more years to advance the system to really use the SDR as a new anchor for the financial system when the world chooses not to use Dollars any longer. NICK: Right, and this new reset is going to be based on asset-backed currencies, and do you think gold will be part of that reset as well as the SDR? WILLEM: Well, it’s not sure yet if it will be gold-backed or commodity-backed or resource-backed. It’s my opinion that when you need to reset the system because so much debt was built into the system it will be quite hard to tell the worldwide public that there’s a new un-backed currency which we’ll have to trust. I think at one point people will need to understand the IMF and the central bankers will understand themselves that you need some kind of backing for this new currency and if you study the past, I’m a student of monetary history, and if you study past financial crises, past currency resets, you will learn that the start of a new currency most of the time, the currency was backed by something tangible. NICK: Like in the Bretton Woods agreement, right. WILLEM: Yeah it started with the gold-backed Dollar, and then over time the Dollar lost it’s gold backing and became a fiat currency. So I think at one point they will decide to build a foundation for the SDR which is real valuable, they could use the gold reserves of the U.S., the gold reserves of Europe and the gold reserves of China and Russia combined to make a solid foundation for this new world currency. NICK: Right and regarding gold as you were talking about gold in the United States, do you think that we have the gold that we say that we have because Germany had asked for 674 metric tons but now we’ve learned that they’ve only received about five tons of gold so what do you think about that? WILLEM: Well to start with the American situation (the gold reserves in Fort Knox) are they still there, have they been sold? Nobody knows and actually it doesn’t matter because since the U.S. government doesn’t allow any independent audits, nobody can prove the gold’s not there. I think the last independent audit was in the 50’s and since there are no new independent audits the U.S. can always claim it’s there and then we have to take it as a matter of fact. 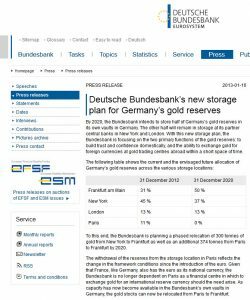 And there is a lot of confusion about the German Bundesbank reclaiming it’s gold from the U.S. but you really have to understand very well that the Bundesbank, the German central bank, they don’t want their gold back. It’s only because there was so much pressure from the popular press that a few politicians started to execute a few years ago. 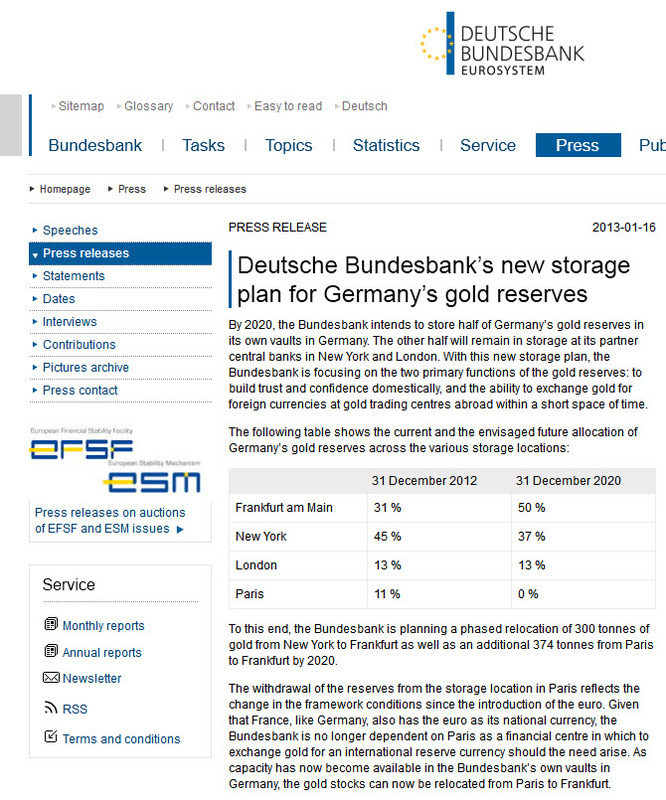 They made the Bundesbank to arrange an agreement with the Federal Reserve to bring the German gold back, but not because the Bundesbank wanted the German gold back but because there was so much pressure from the public and from the popular press. NICK: So it was almost like a political thing in a way. WILLEM: Yes because the Bundesbank, like the Dutch central bank, is part of this U.S. net Dollar system, which the central banks have created and support and will support to the bitter end. Why will they support this U.S. Dollar system to the bitter end? Because they know that the west has a lot of power to lose to the east, and when this U.S. Dollar based system will collapse the power will move to Russia and China like the gold has been travelling from the west to the east. The western central bankers in Europe know that they have to back the Federal Reserve in this paper based Dollar system in which gold is the enemy. NICK: Absolutely and we know that central bankers don’t like gold, they don’t like to talk about it, they don’t like to mention it. WILLEM: It’s efficient for them. NICK: Question I have about the IMF now, and this is going back to something you mentioned in your book, do you believe that the IMF is double counting gold of its member countries and which countries have the most gold holdings right now? WILLEM: Well it’s not a question if I believe there is double counting, if you read my book, I show the proof of the double counting. 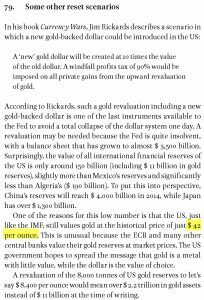 We know there is a double counting, even a triple counting, in the world of official gold reserves because the gold reserves of sovereign countries like Holland or Germany can also be found, some of them, in IMF gold reserves. And we also see double counting in the U.S. because the Federal Reserve, at the start of 1913, took the monopoly on creating Dollars from the U.S. government, but they also took away the official U.S. gold reserves. But in 1933, during the crisis, the U.S. Treasury made the Federal Reserve give back their gold holdings. So the gold holdings of the Federal Reserve were transferred to the U.S. Treasury, and the Federal Reserve received gold certificates in return. WILLEM: So if we look at the balance sheet of the U.S. Treasury and the Federal Reserve we can find gold holdings valued at $11 billion on both of the balance sheets. But on the balance sheet of the Federal Reserve we only find the gold certificates while we can find the physical gold reserves on the balance sheet of the U.S. Treasury. So this is a double counting, which is a fact, it’s not my opinion, it’s a fact. To come back to your question, “Which countries have the largest gold reserves?” Well, of course we have the U.S. we have to believe has 8,000 tons, Germany, around 3,400 tons, International Monetary Fund, IMF has 2,800 tons, well, this is global counting as I’ve explained before. We have Italy with 2,400 tons, and also France with 2,400 tons. So if we add all the gold reserves of the European countries, we have some 9,000 tons, the U.S. has some 8,000 tons, and China is building some 5,000-6,000 tons of gold reserves. So if we put all these gold reserves together to make this IMF foundation for the SDR we have a lot of gold to back this SDR and I think that’s the major plan should work. NICK: Absolutely. Now how about interest rates, because interest rates in the United States are really at an all time low, and I know in some countries, they are actually doing negative interest rates. So what do you think will happen with the United States. Do you think interest rates are going to rise anytime soon, or could we actually see negative interest rates like we’ve seen in some other countries. Central bankers will maintain the situation in which interest rates are very low, near zero, and any rise in interest rates will always be very, very limited. NICK: Yes you brought up something very interesting that I didn’t even think about. 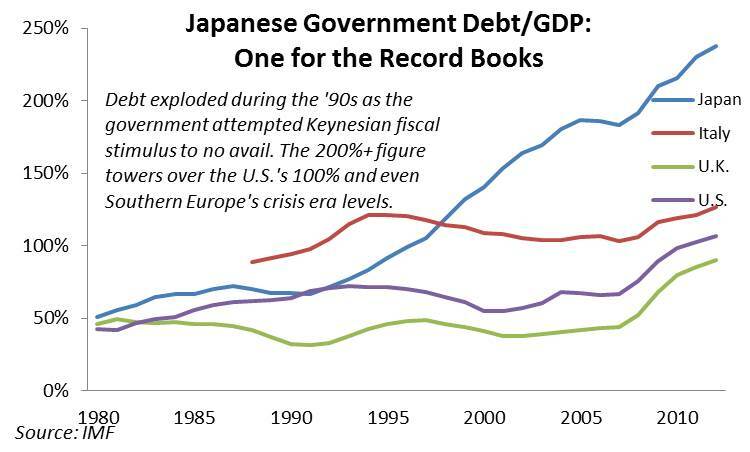 About Japan doing their version of quantitative easing (QE) for many years now, and another thing is their debt to GDP ratio is also quite high. It’s actually a lot higher than the United States isn’t it? WILLEM: 250% the debt to GDP radio in Japan is now 250%. In the EU and the U.S. we now reach 100%. 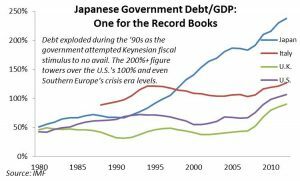 One of the examples in my book, why we need a global monetary reset, is that effect maybe we can continue for some years in the U.S. and the EU with growing and growing mountain of sovereign debt. But in Japan, we might hit the wall quite soon. So I think the IMF is very concerned about the current fiscal situation in Japan. Something needs to be done and a very nice study was published by the IMF on Christmas Eve, so it wouldn’t get too much press attention. But the study is by the economists Rogoff and Reinhart (Kenneth Rogoff and Carmen Reinhart), make it very clear that the rise in sovereign debts have led to a situation where debt restructuring is the only solution available. These debt restructurings, we’ve seen them before, they were very popular at the end of the second World War. Actually Rogoff and Reinhart prove in their study that you always have major debt restructuring after a financial crisis like the one we saw in 2008. NICK: Yes, and when you speak of sovereign debt restructuring, is that the same as financial reforms had mentioned because she had mentioned different kinds of financial reforms, is this the same thing? WILLEM: Well, if you speak about financial reforms, they can come in many ways, like financial repression can come in many ways. Restructuring of debt is one of the most important draconian measures you can take to work on financial resets. Because by restructuring debt by eradiating debt you can clean up a balance sheet. For example: the Federal Reserve owns over $2 trillion of U.S. Treasuries. The Federal Reserve can choose to just take this position of $2 trillion off the balance sheet. 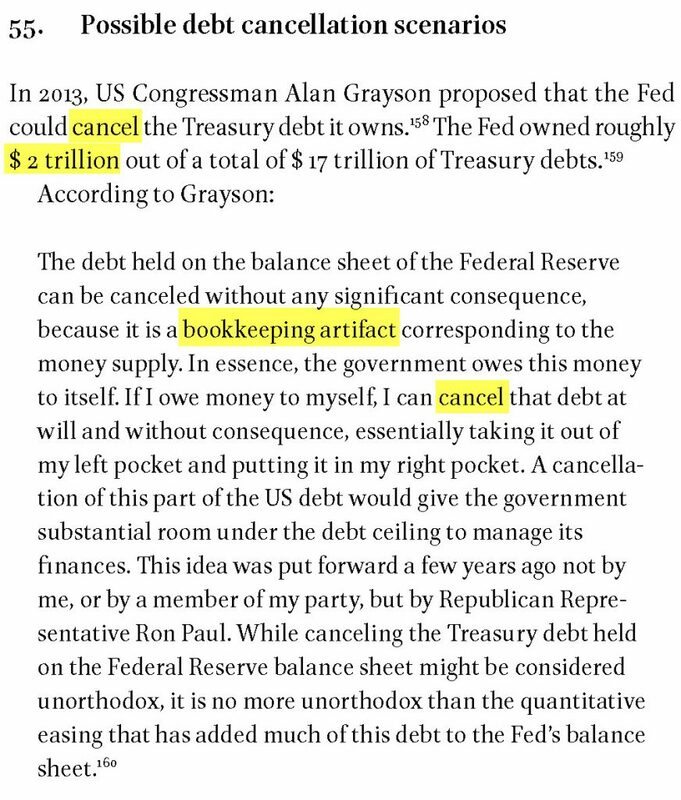 When the U.S. Treasury and the Federal Reserve agree on this debt restructuring the Federal Reserve balance sheet shrinks from $4 trillion to $2 trillion. And if the Federal Reserve and the Treasury would choose to reevaluate gold, that would make it very interesting because then another $2 trillion of good money can appear on the balance sheet of the Federal Reserve and the Treasury because the 8,000 tons of official gold holdings in the U.S. is still valued at $42 an ounce. Where the European central banks value their gold holdings at market prices, the U.S. still values it at the cost price of $42 an ounce. 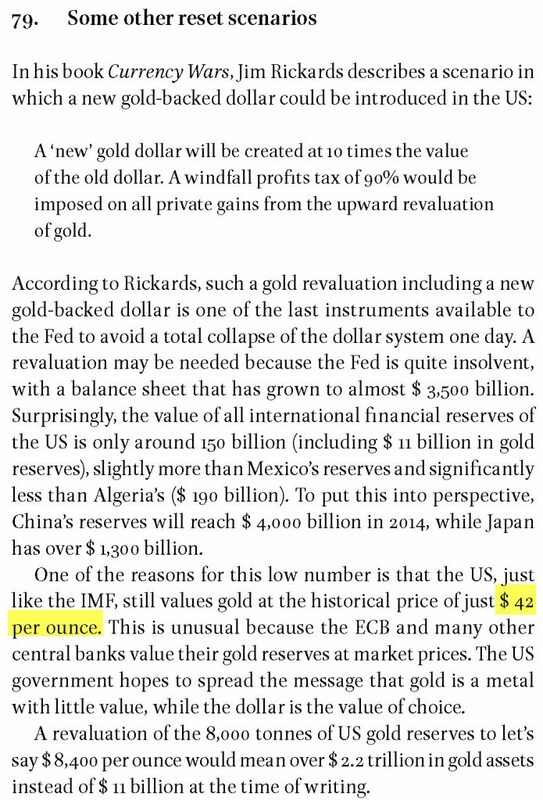 So when you revalue gold to $4,200 an ounce, the $11 billion currently on the balance sheet of the Federal Reserve and the Treasury grows towards $1.1 trillion, and if you revalue gold to $8,400 an ounce the value of the gold holdings on both balance sheets in the U.S. would grow towards $2.2 trillion. 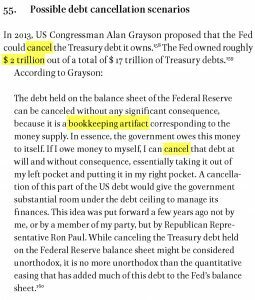 So by just these two simple bookkeeping arrangements the Federal Reserve can brighten up the balance sheets of its bank in a wonderful way. NICK: Right, I mean the money was created out of thin air, it’s just a bookkeeping entry basically. WILLEM: So you can get rid of the money easily. NICK: Absolutely. So how about the Euro now with this reset, could the Euro be devalued? WILLEM: I think all currencies are being devalued since 2000. 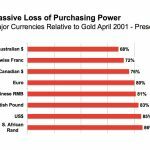 Actually they lost between 50% and 80% of their purchasing power against gold since 2000. Gold is the only currency that can’t be printed. So we see a rise in the purchasing power of gold. I’ve been talking about the world championship of money debasement since 2006 in my Dutch column. I always call it in Dutch wereldkampioenschap ontwaarding, world championship currency debasement. And the finals of this world championship will be played during the coming monetary and financial resets. 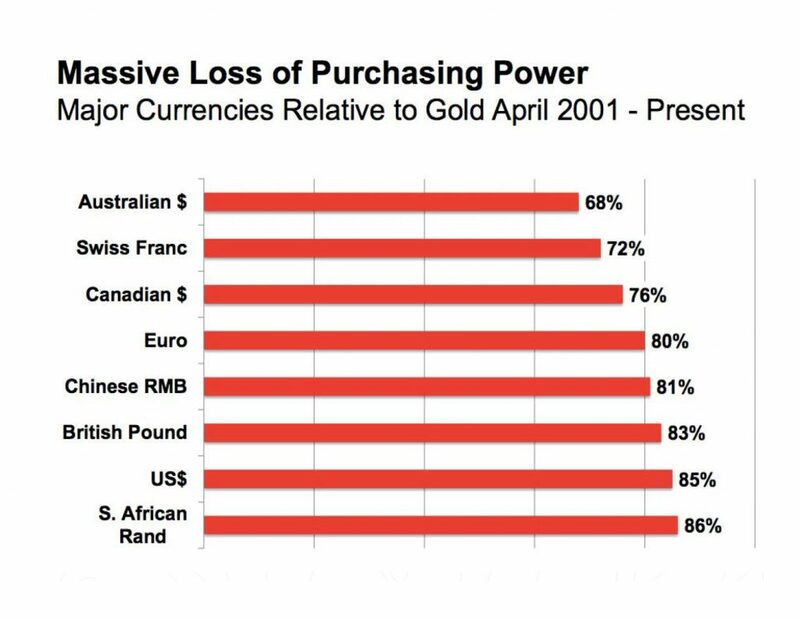 I think it’s important to understand that central banks at some point, they would love to revalue gold against currencies because it helps them during the reset in a way I just explained. NICK: Right. 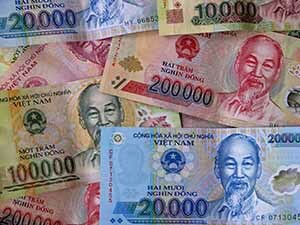 Now speaking of currencies, do you recommend investing in any particular paper currencies? WILLEM: Well, not over 10-25% of your net value. Personally I prefer precious metals to currency, I think if you buy physical gold and silver, you could see gold and silver as a currency. It’s just another cash position for me, you know gold and silver you can exchange it into a normal currency, a fiat currency everyday. WILLEM: Especially silver I love for this reason, because I expect some real physical silver shortages will occur in the next few years. But if you really want to invest in paper currencies other than the Dollar I think the Norwegian Krone would be a nice idea. Norway is a very rich oil producer. It has huge financial reserves. There are only a few million people living in Norway. That’s almost the safest bet I think in [paper]currencies. NICK: Very interesting yes, and for other investments, do you recommend other investments such as tangibles: real estate, assets, what would you prefer for other kinds of investment opportunities? WILLEM: It depends a lot if your net value is $50,000 or $50 million. For the rich, and I think the rich are people over $20 million net value that’s what the bankers in Switzerland use. And if you go to the ultra-rich, over $50 million, real assets like land, real estate, is one of the very few options besides owning gold. Silver is much too cheap for the real rich people, they have to buy gold, they have to buy real estate, they have to buy land. But only buy real estate when the prices have been coming down and when they are at great locations. So buy them at corrections, great real estate at great locations, and you have seen wonderful corrections in real estate in Spain, in the U.S. and I think then, it’s quite attractive to start to buy real estate again. NICK: Now speaking of gold and silver, do you see gold and silver rising over the next several years? WILLEM: Yeah, I expect gold and silver to go up a lot. We’ve seen a huge rise in the gold price in recent years. I would be very surprised if we don’t reach $2,000 an ounce gold in 2015. I expect $3000-4000 an ounce gold by 2020 but I’m much more interested in silver myself. I expect $50-70 per ounce of silver in 2015-2016. And even prices of $100 or north of $100 before 2020. So I think it’s very interesting. When the price goes up, in the way I foresee, it’s even more interesting to invest in gold and silver related equities. That’s what we do in our fund. I’m a founder of Commodity Discovery Fund and our holdings are for 75% in gold and silver equities. NICK: Excellent. Let’s go back to what you were talking about silver because we all know that the gold/silver ratio is extremely off, I mean historically silver has been at that ratio of about 16 ounces to one ounce of gold, and now we are in the 60’s. So your outlook of $100 per ounce of silver is very realistic at this point because the silver ratio at some point is going to have to return to that norm. WILLEM: I agree, I totally agree and I’m a big student of silver. We just did a big research project on physical silver here in our own fund. And according to our model. Physical silver shortage have to occur before 2016-2017, and we used to have a huge amount of old silver, a few billion ounces of old silver coins and they were here for the last 10, 20, 30 years. But in the last, we could say since the 60’s and the 70’s, the always has been shortages of newly produced silver. So the demand for physical silver was always larger than the production of old silver mines. And because of this situation, for 30 years now, this whole mother load of old silver has all been used up now because you should well understand that silver is used for 50-60% in industry as a commodity, while gold is always reused over and over again a lot of silver gets lost. WILLEM: I think we are at a point that there’s a real chance we will see physical silver shortages in the next few years like we can also expect physical shortages in platinum, palladium, because we see similar situations there, but these are much smaller markets. Platinum and palladium are not monetary metals like gold and silver are. NICK: Right and I agree with you, in fact, I have already seen the shortages here in America myself when I went down to the silver shop. I walked in there, and I said, “I would like to buy some silver.” They said, “Oh, we don’t have any.” They had no bars, no American Eagles, they had one or two Canadian Maple Leafs, and a few old 1900 silver Morgans, other than that they were completely out of bars, bullion , everything. WILLEM: And we’ve seen the same situation with the U.S. Mint of course that they stopped taking orders, stopped production. So signs on the wall, signs on the wall. NICK: Right, now what are your thoughts about the London silver fix ending on August 14 of this year (2014). WILLEM: Well, yeah that’s another sign on the wall. I think when a price fixing system ends after over 100 years, one thing is certain: you are witnessing a huge shift in the pricing mechanism in the precious metals market. We see all kinds of signs and the end of the silver fixing is one of those signs, and it tells me that the price mechanism will change from being paper based, like it is now, to more physical based. The Chinese have made remarks along this way as recently as this week. The Chinese are telling the world that the pricing mechanism should change from being U.S. paper based to more real-time physical based. The Chinese, the Asians, want to have a bigger say in this. NICK: Right and let’s face it, China hasn’t made an announcement yet, but they will on their official gold holdings which we know are a lot higher than when they were last reported which was several years ago. WILLEM: Yeah that’s true, I think it was in 2008, their official gold holdings doubled to over 1,000 tons. And since then they have kept quiet. But we know from all the trade figures and all reporting that the Chinese have accumulated approximately 4,000-6,000 tons of gold for their central bank gold holdings. So it’s only a matter of time before this is officially communicated. NICK: Right, I mean they are the largest producer of gold, and they keep it in country, they don’t ship it out. They are the largest importer of gold I believe. WILLEM: Yeah and I think it’s very important to read all the stories done by Koos Jansen http://www.ingoldwetrust.ch/ it’s a fellow Dutchman, he’s done some marvelous research on the Chinese gold market and he really produced some amazing stories in the last 12-18 months showing that the Chinese, they do have a master plan for gold showing they have a master plan for the next phase of the worldwide financial system. And it’s not coincidental that one of the six directors of the IMF reporting directly to Christine Lagarde, one of the six is now Chinese. The Chinese will work closely together with the U.S. and with the IMF, to bring this financial system to a new phase. NICK: Excellent. Now for gold, because you mentioned it, do you prefer coins, bars, discovery funds, mining shares, ETFs, how do you recommend people get involved with gold? 25% In good, hard based equities in gold and silver mines, could be oil and gas producers. Some real companies with real assets. 25% in real estate, only when you can buy cheap real estate or if you have real estate yourself that has been in your family for some time. You can keep it because then you have a nice, good, diversification in your net wealth. With this 25, 25, 25, 25 portfolio. Nobody lost any money when they have chosen to keep their net value divided in this way since the start of the credit crisis (2008). So I still stick to this. NICK: Right, and at this point that has been a recent pullback in precious metals. We now see gold and silver trading very close to where they were back in 2010. So how long can this pullback in the prices of gold and silver actually last at this point? WILLEM: It’s my guess that we are witnessing the final stages of this huge correction which has lasted three years. And I think that we are also witnessing the very early stages of a huge new bull market which is occurring (starting) as we speak. Our fund is up 15% this month, over 15% only this month in June. We are up over 30% for the year. So this shows the new stage of this bull market. NICK: There is a lot of demand in your fund. WILLEM: We’ve been blessed by very limited outflows in the last few years and increasing inflows in the last few years. Our fund is around $50 million Dollars and we only started in 2008. So I feel blessed by this. And I would be really disappointed if our fund is not up 100% at the end of 2016. I expect big increases, we’ve seen the first ones, and if history is any guide, you could easily have rallies now in gold and silver equities of 200-400%. NICK: I can see that myself absolutely. How about quantitative easing, do you think the United States will be able to stop QE safely or are we going to continue to taper a little bit each month? WILLEM: Well, they can taper, a little bit, which means they buy a little bit less, but they can’t stop. They can’t stop printing more Dollars because countries like Russia and China stopped buying U.S. Treasuries. Actually the Russians sold a lot of their treasuries. So, these countries are not loading up on U.S. Treasuries, in fact, they are loading up on physical gold. The Fed can’t stop printing money. 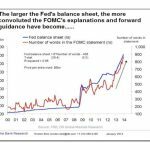 I look at the balance sheet of the Federal Reserve almost every week. I just checked it last week, the balance sheet of the Federal Reserve has been growing by over $900 billion in the last 12 months. So, despite all the talks of tapering and tapering, I see the balance sheet of the Federal Reserve grow by another trillion in the last 12 months. This has been going on for some years now. I think tapering is a lot of fact spin I would call it. But the only reason they can taper a little bit is because the deficits of the U.S. Government are coming down, and that’s why they have to print a little less. But since the Russians and the Chinese stopped buying U.S. Treasuries in large amounts, the Federal Reserve has to be the buyer of last resort. NICK: Right, and if that’s the case, like you were saying earlier about interest rates. They can maybe raise interest rates a little, what were you thinking, maybe a percentage at most? NICK: Because we have too much debt, I mean, let’s face it we can barely pay for the interest right now. NICK: Doesn’t look like the U.S. is in really good shape financially right now. WILLEM: Well, just look at the graph of the growth of the national debt, you can see this is a parabolic move. And we know from history this can’t go on like this, something has to give and I think there will be, without a major reset of the system, the U.S. won’t survive as a major power in this world. 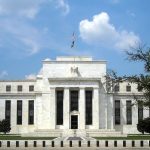 It’s in the interest of the U.S. to take the lead, and to introduce, a next phase for the monetary system like they have done in 1944, and like they have done in 1971. To take the Dollar off the gold backing in 1971 wasn’t done out of luxury, it was needed because too much gold was flowing out of the U.S. So the U.S. has been at this point before, they know they have to be creative. They have shown in the past that they can be real creative. They at some point need to take some new unorthodox steps to save the system. NICK: Absolutely. Now do you feel that the big reset will be a gradual reset or will it be an overnight reset like we’ve seen historically, and how close do you think we are to this reset? Are we still looking at 2020, what do you see? WILLEM: People always make the mistake that they think major changes in the system will come soon. I’ve learned that the worldwide monetary system should be seen as a supertanker. If you want to turn the supertanker, which carries oil around the world, if you want to turn the supertanker you have to start to move hours in advance because these big ships, they can’t turn on a dime. It’s the same with out financial system. I don’t think that a reset is very close, these adjustments always take longer than you might expect. It could be gradual, with a few smaller steps, then maybe a bigger step later. But don’t expect this to happen overnight in 2015. The IMF, the U.S. and the Chinese they all need a few more years to prepare the system for these changes. So I think, I still expect it to be around 2020. It could be 2018, it could be 2023, so I think we can have a lot of fun along the way Nick, and we’ll have major moves in the system. Major currency moves, major moves in precious metals before this all will occur. NICK: A great time to invest is now, a great time to prepare is now rather than later, we should be preparing for the reset now. WILLEM: I think there’s a wonderful period to invest. If you study the subject like you and I have both been doing, you know why and what we can expect. When gold and silver have been coming down that far in the last correction, gold down 40% silver down over 60%. It’s wonderful for the Johnny-come-latelys that they still can buy protection, monetary protection by buying physical gold and silver at these levels, and I must stress, I used to have a business in physical and gold and silver. I sold this business in 2011 like you said in the introduction. I don’t make any gains by people buying physical gold and silver, but I do believe this is very important for your financial health and financial security, you should see gold and silver as an insurance which is needed to take care of your net worth. NICK: Absolutely. And I want to say your title again is called, “The Big Reset – The War on Gold and the Financial Endgame”. I just wanted you to tell us a little about the war on gold really quickly since we haven’t gotten into the war on gold and the manipulation. WILLEM: To understand the war on gold well, it’s very important you read the whole story and that’s why I wrote the book, I think 50 or 60 pages out of the 200 is on gold. But the central thesis is the U.S. once had this gold backed Dollar, in 1971 the U.S. had to take the Dollar off the gold standard and since then gold is the natural enemy for the Dollar, for the U.S. and for the U.S. financial system. This explains also, why European countries help the U.S. by “being a good soldier” in this war on gold. And we really have to understand when gold would be free, the gold and silver prices will be much higher, this will really hurt the U.S. Dollar, it would really hurt this U.S. centered system. And people who want to know more about it they can visit the website of GATA (http://gata.org). They did some great research for over 10 years on the subject, or read my book. NICK: Absolutely. Well, I want to thank you again for joining me for this interview. Did you have anything else you would like to add, anything we didn’t discuss? WILLEM: I think we covered it all Nick. Thank you for giving me the opportunity, and it was a pleasure. NICK: Thank you again and how can people get in contact with you? I know you mentioned http://thebigresetblog.com what are some other websites we can find you? WILLEM: Well, I’m the founder and principal of Commodity Discovery Fund if you Google Commodity Discovery Fund you will find our website, it’s very easy to get in touch through this website and send me email. NICK: Well thank you so much Willem for coming onto the program. 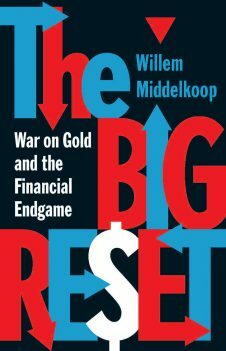 Willem Middelkoop the author of “The Big Reset The War on Gold and the Financial Endgame” thank you very much. WILLEM: OK, have a nice weekend, bye. This interview may be published provided all of the links remain unchanged. Thank you very much Nick for putting this in a readable form as I do not have time for YouTube videos. I can glance through this at my pace thank you very much, Very well informed. Good information but the timing of events will hit late September (24) of this year and escalate incredibly fast as one domino topples another. The Shimita (7 year of Judgment cycles are set 2001 and 2008 and now for September 2015 ) The four tetrad of blood moons hitting on exact Jewish festivals in a two year period are the tell tell signs we are to look for to know and prepare for the financial collapse of the financial; Babylon system. I suggest reading Dr. Steven Jones blog in God Kingdom Now website to catch up with the spiritual side of things. There is no chance that we will wait to 2018-2020 for the things that will begin happening due to divine pressure and the set time of judgments. I do however appreciate your diligence and straight forward approach to the issues. I also commented on your page concerning Dave Schmidt to be cautious about endorsing one with agenda that causes so many red flags about the sources he uses then abuses and then disregards, then makes his sales pitch for “opportunities (for a small fee) .